I’m so loving this adorable Easter egg wreath I made in a jiffy. 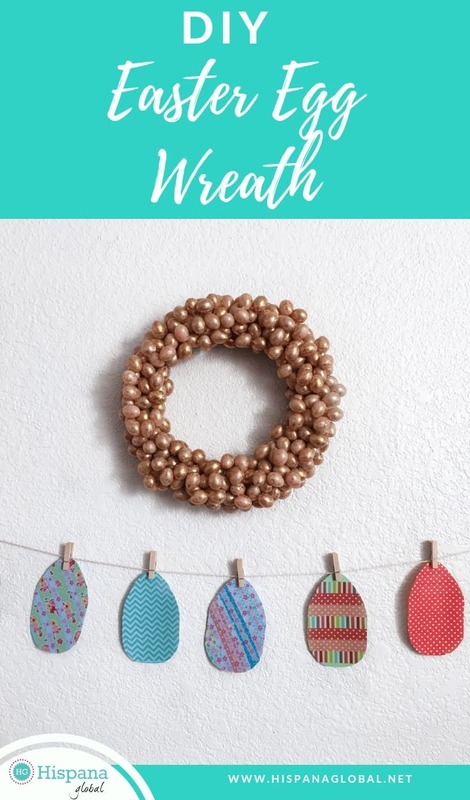 I find that making seasonal wreaths is an easy, inexpensive and a great way to make it look like I’m switching up the decor in my home. I love the idea of decorating my home for holidays throughout the year, but if I am being perfectly honest I’m a bit of a floja. Not only am I a little lazy, I’m also a busy work-from-home mom and ain’t nobody got time to be putting up and taking down decorations every other month or so. However I’ll put in a little bit of effort and that’s exactly the amount of effort it took to make this wreath. I even made a video to show you! I bought most of the supplies I needed at a dollar store and I already had a hot glue gun and glue sticks at home. 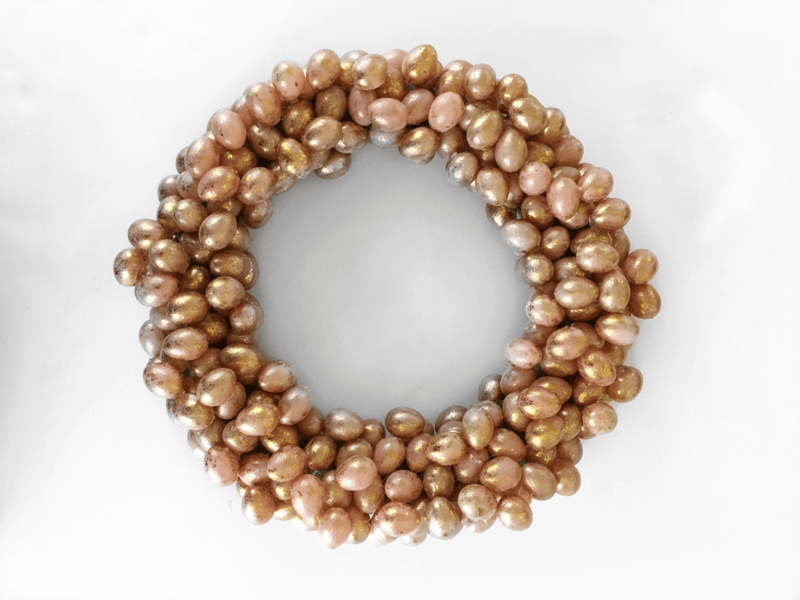 The idea for the wreath actually came about because I saw the most adorable little rose gold plastic eggs at the dollar store and I just HAD to make something with them. 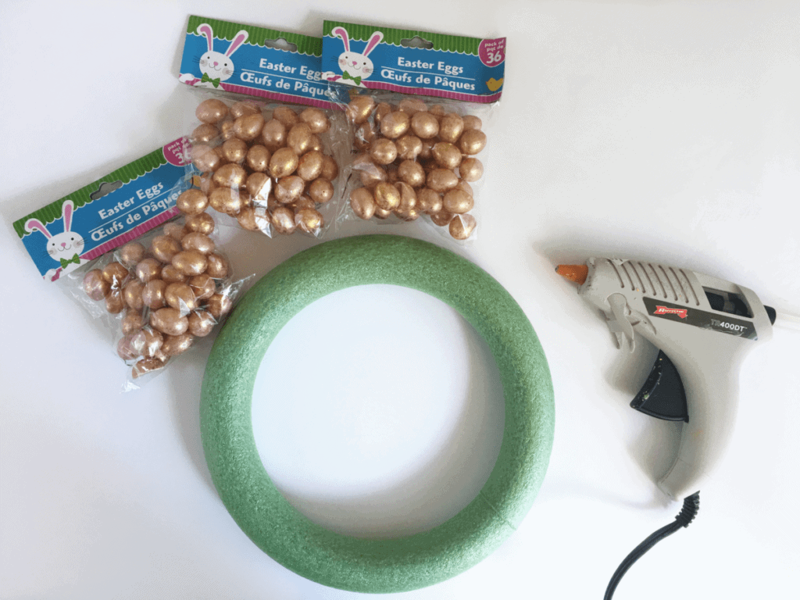 Heat up your glue gun and once it’s ready, start gluing plastic easter eggs on the front and sides of the foam wreath. You don’t need to glue any eggs on the side that will be against your wall unless you really want to because no one will see the back. Once you have covered the wreath in a layer of eggs, go back and glue eggs in any gaps. You’re done when you are happy with how it looks. Mine ended up being very lightweight and I was able to hang it on the wall using a thumb tack. 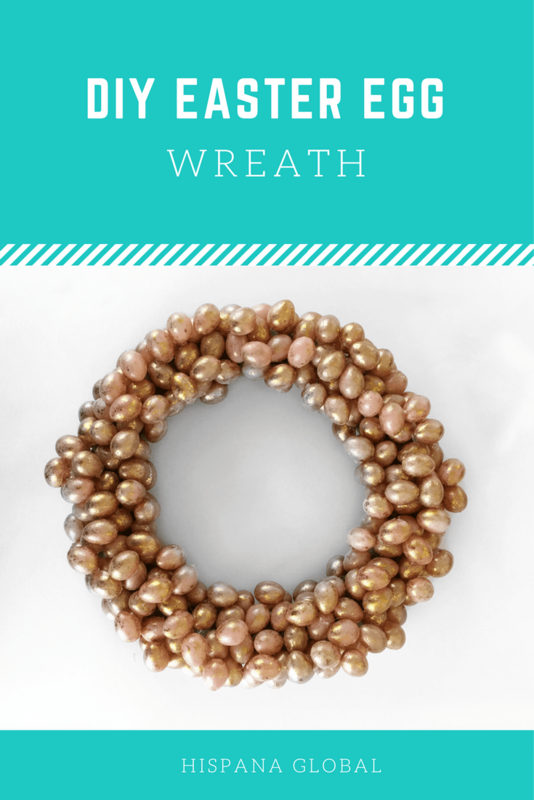 If you’d rather, you could tie a ribbon around the finished wreath and hang it from the ribbon. 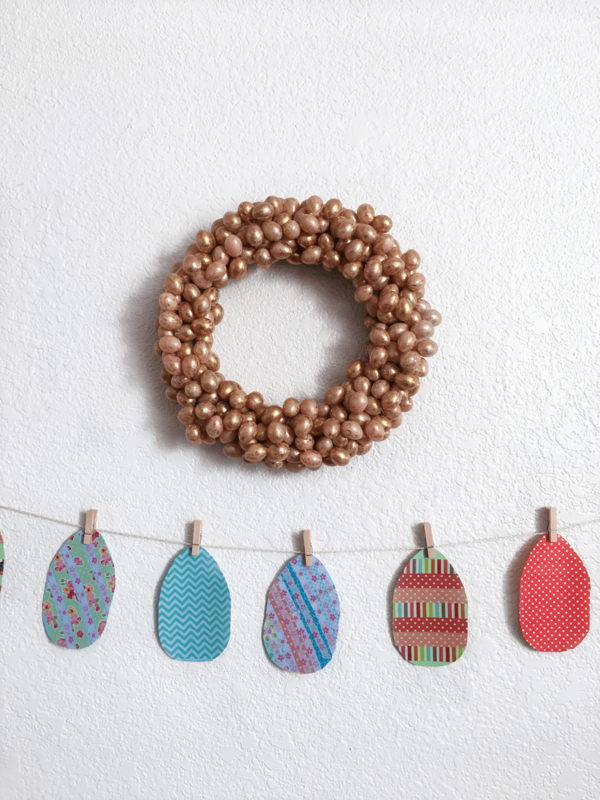 Did you like this simple Easter DIY?